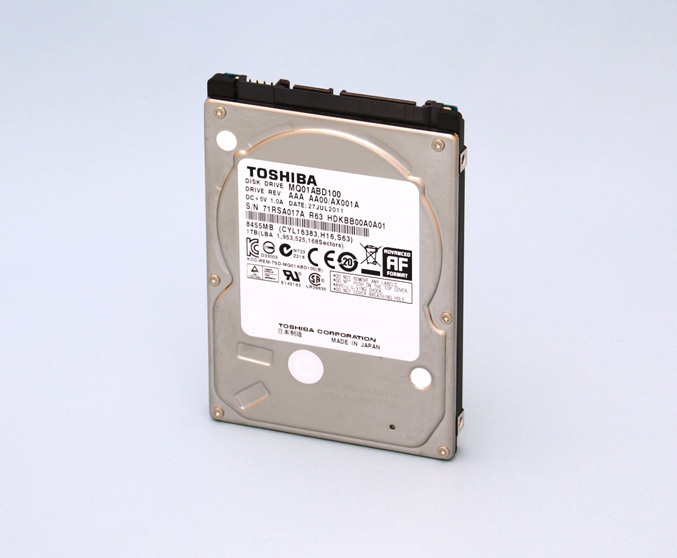 Toshiba has introduced new family of 2.5-inch hard disk drives is only 9.5mm thick and offers up to 1TB storage capacity using 500GB per platter. The new MQ01ABD series is designed for notebooks, gaming consoles, DVR set-top boxes and other portable devices, the family consume only 0.55watts during idle mode and has improved acoustic performance, emitting a maximum of 19dB at idle and 24dB during seek operations. The MQ01ABD drives have 8MB of buffer memory, works at 5400 RPM operating speed, an average seek time of 12ms and SATA 3.0 Gbps interface. 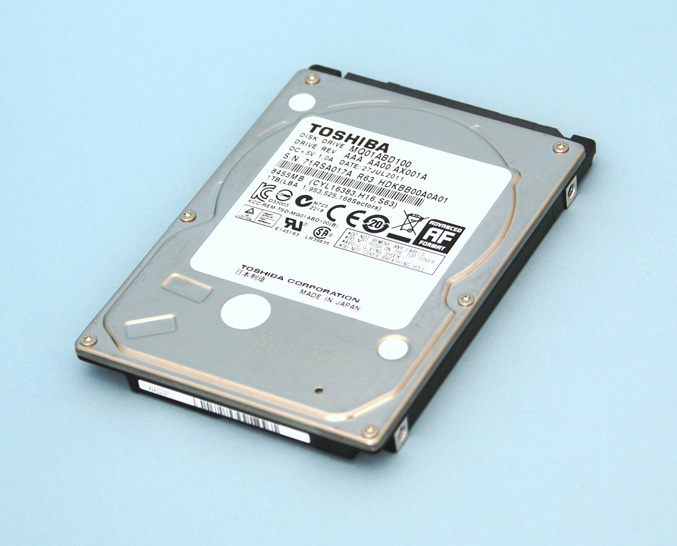 Toshiba claims that the drive has an industry-leading areal density of 744Gb/in2, which is over 37 percent compared to prior 2.5-inch models. The drive is available in capacities ranging from 250GB to 1TB and will enter in mass production in the middle of August.